media.ccc.de - Playlist for "23C3: Who can you trust?" 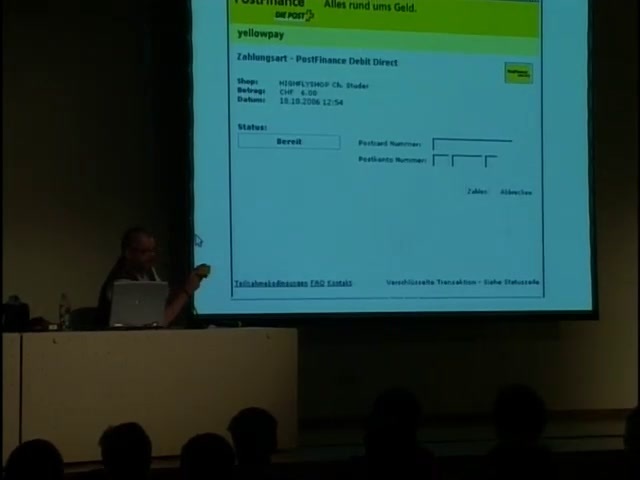 Playlist "23C3: Who can you trust?" This lecture will introduce you to the the Postcard, a widely used debit card issued by FostFinance in Switzerland. As other debit cards like the "EC" card it is used for shopping payments at POS terminals or to draw money from ATMs in Switzerland and many other countries. It's widely used by its 2'000'000 users, producing a total transaction volume of around 8'000'000'000 Swiss Francs a year.